Sue Burke grew up in Milwaukee, Wisconsin, lived briefly in Austin, Texas, and moved to Madrid, Spain, in December 1999. In 2016, she moved back to Chicago. By then, she’d become a certified translator, Spanish into English, and had come to know the science fiction community in Spain. She won the 2016 Alicia Gordon Award for Word Artistry in Translation from the American Translators Association. 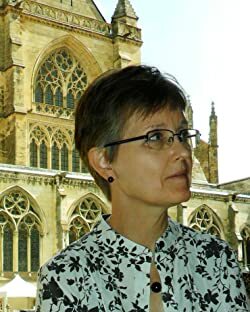 She has worked for 45 years as a journalist, both as a reporter and editor, and writes poetry, essays, and fiction, especially science fiction, as well as translations. Her perfect day would consist of writing, reading, translating, editing, and cooking. And maybe a walk along Lake Michigan. CLICK HERE FOR MORE STORIES BY SUE BURKE. 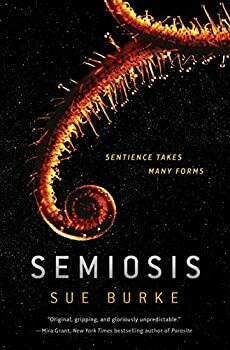 Semiosis, Sue Burke’s 2018 debut novel, is a fascinating examination of culture, intelligence, and co-operation in the face of extreme hardship. A small group of high-minded and free-thinking colonists have left Earth for a planet they’ve named Pax, in honor of their Utopic dream of what the planet represents, though they quickly discover that peace is not easily achieved — especially when they discover that you can never go home again, but neither can you completely leave it behind.